Part 2 of bringing my mountain bike back to life. Jon and I went back and forth on the hubs. Would we go White Industries and run a freewheel, would we take the cassette route. My STX-RC crank mated to a random square-taper bottom bracket yields a weird chainline, so cassette made sense for all-round flexibility. 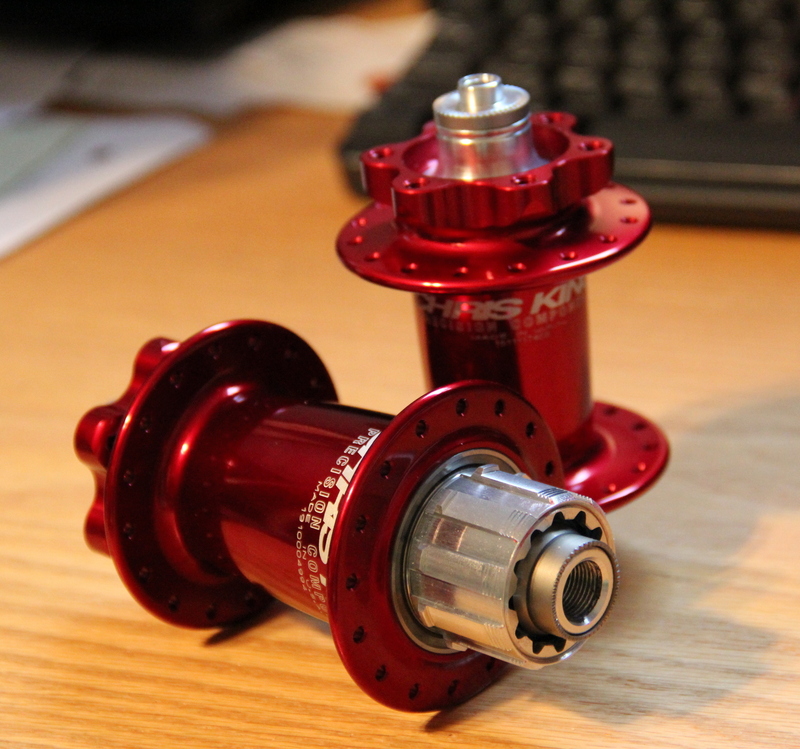 I had originally ordered an American Classic singlespeed cassette hub, but the engagement was really aggravating. It felt inconsistent and imprecise, and while I’m fairly sure my AC road wheels operated that way, we agreed it would be a bigger deal for technical single speed mountain biking. So I went all in on the only hubs I’ll ever need in my lifetime. When you think about it that way, it’s not so bad a decision.